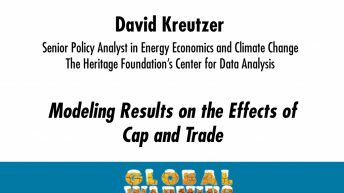 David Kreutzer is senior policy analyst in energy economics and climate change at The Heritage Foundation’s Center for Data Analysis. 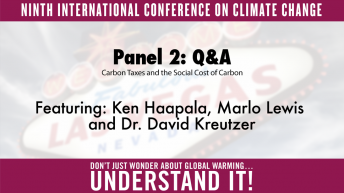 He researches how energy and climate change legislation will affect economic activity at the national, local, and industry levels. 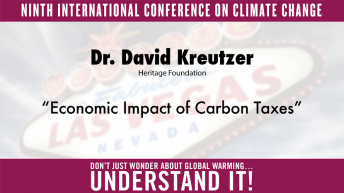 Before joining Heritage in 2008, Kreutzer taught economics for 23 years at James Madison University in Harrisonburg, Virginia, where he also served as director of the International Business Program. He was a visiting economist at the U.S. Food and Drug Administration in 1994 and a visiting economics instructor at Ohio University in the early 1980s. From January 2003 to December 2004, he served as mayor of Dayton, Virginia, a town of about 1,300 people in Rockingham County near the West Virginia state line. Before that, he served on Dayton’s Town Council for nine years. 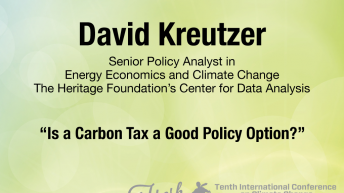 Kreutzer’s research has appeared in journals such as The Journal of Political Economy, National Tax Journal, Economic Inquiry, The Southern Economic Journal, and The Journal of Energy and Development. He also has written for mainstream media outlets.